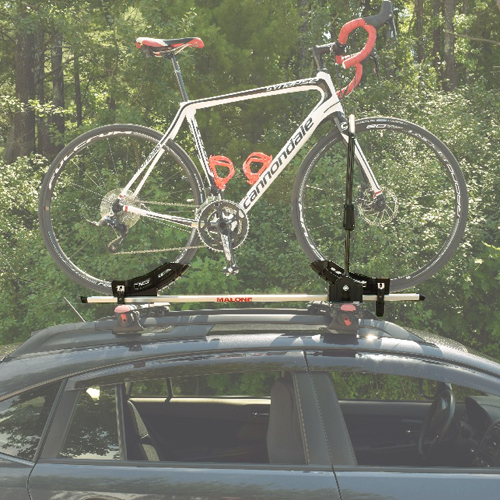 The Malone mpg2103 Pilot TC ST is a universal upright rooftop bicycle rack has an aluminum and steel powder coated construction with universal mounting hardware. 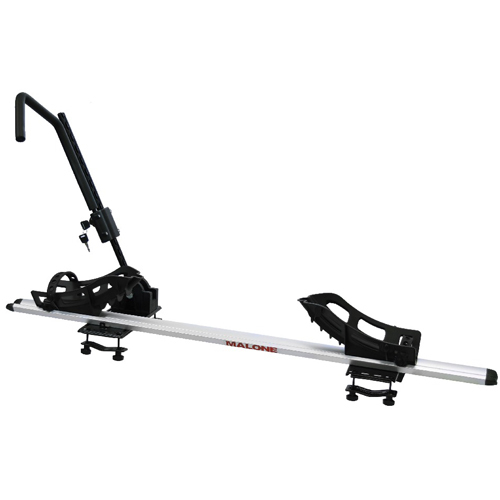 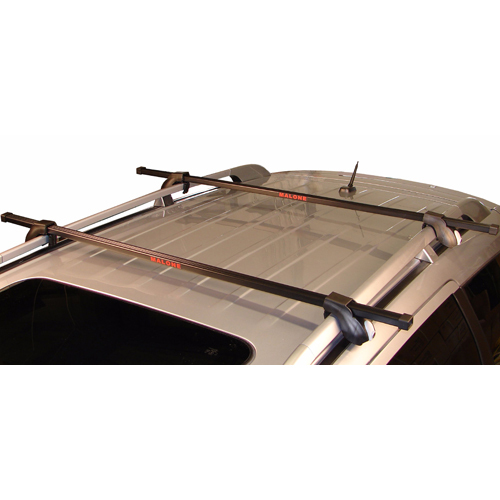 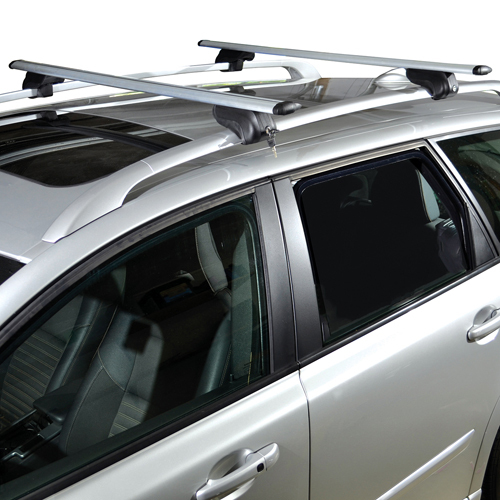 The Malone Pilot TC ST is designed to fit a wide range of crossbar styles: Malone, Thule, Yakima, factory oval, and most aftermarket aero-style load bars. 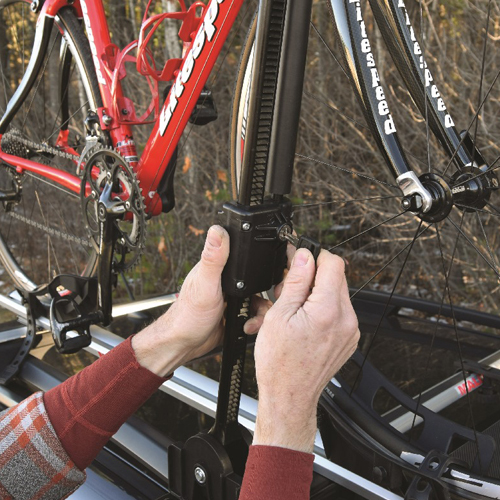 The Malones's Ratchet SafeHook Arm offers quick loading and unloading by simply pulling the hook arm down on top of your front tire (just in front of the forks) securing the bike to the tray (no frame contact). 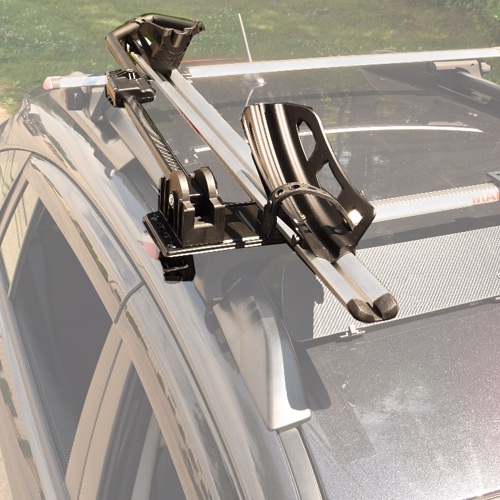 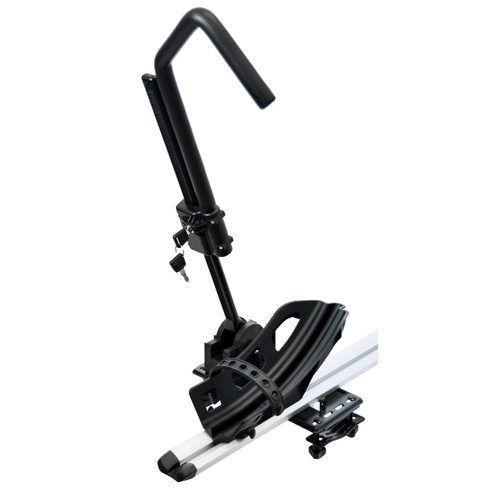 The extra wide wheel strap holders add stability and adjust on the bike tray to accommodating most bikes regardless of frame design, suspension, or wheel size. 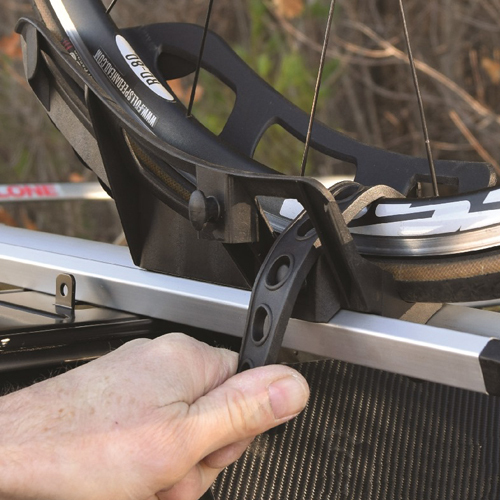 The Pilot fits wheel sizes ranging from 20" - 29" and up to 5" wide fat bike tires. 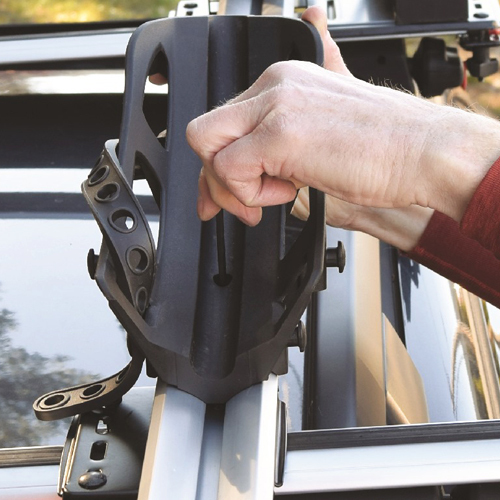 The Pilot TC ST does include a keyed lock to secure the Ratchet SafeHook to the front tire.